The task of designing a website is not an easy one. A web designer has many factors to take into consideration while making a website like the current trends, the visitor preferences, several different platforms and above all the requirements and choices of the client himself. That said, some web designers get it right and many get it horribly wrong. So why do web designers go wrong? There are many why that may happen. Thus to be on the safe side it is a good idea to have a set number of requirements clear in your mind and then select only that web designer that meets those requirements. Have a chat with someone who has already dealt with the web designer will give more insight in what to expect if you do end up selecting him. Besides which, if in case the reference provided by the web designer has had some issues or problems you are in a better position to handle the situation if you do go on to select the same web designer. All the web designers do if in a different way. In the sense some have a set price for a template where in they will provide you with 2 -3 options from which you need to select. They may also have limits on how many times you can request for modification of the website layout being designed. The other way that the web designers do it is to charge by the hour, which can rake up quite a big bill if you are not to careful. Thus the contract or agreement with the web designer is something that should not be taken lightly. It is important to have the knowledge of what all services are offered by the firm you select. Developing a website from ground up requires many different types of skills. While many firms offer the complete solution with every service that is required, there are also some that outsource it or resort to other means. For example a web designer will always need good graphics to complement the content and beautify the layout. Some companies are self sufficient. But in most cases a web development company will not have a special graphic designer and hence may hire a graphic designer to do the job (in the sense outsource the job). At times the web designer may also buy stock images online from the internet. Such prospects can up the cost of the overall website very quickly. In some cases the clients themselves provide the necessary graphics from their own designers, although hiring graphic designers may not be that easy. Almost all good web designers will have a portfolio to showcase their previous work. This is a good place to start when you are in the process of selecting a web designer. You can take a good look at the previous work of the web designer and make a note of the things that matter to you the most. You are most likely to find the portfolio on their website which you can browse at our leisure to make sure that the web designer has the ability to deliver as per your expectations. One thing you should always inquire about is the procedure followed by the web designer while building your website. The procedure and the way the project will be managed are very important. That way you know what to expect and whether or not you will be getting timely reports. It is important that you have a single point of contact too. Web designer tend to prioritize their workload based on the urgency of the client and how the client reacts towards delays. In general the process of designing the website would be constant and the web designer on an average would be able to churn 2 – 3 layouts for the client to choose from within 3 – 4 days. But that is not where the process ends, since based on the client’s requirement and time taken to provide feedback and other necessary information the time can get extended before the project is finally completed. Thus from the client’s perspective the best approach would be to have all the necessary design preferences and documents prepared by doing a little research into the design process prior to contacting the web designer. In addition to which the more detailed and clear the feedback is the quicker the web designer will respond with the desired changes. There was a time when a website used to be viewed exclusively on the desktop pc and may be the laptop computers. But that isn’t the case now. Your website is likely to be accessed on several different platforms including the several different mobile devices. Thus it is important to discuss the issue of platform compatibility with your web designer to make sure you can view it on all the desired platforms. Selecting a web designer is one thing and the actual process of designing a website is another all together. It is necessary for the client and the web designer to interact during this process too. The client should set the goals of website early. This is important so for the development process so that the web designer can incorporate that in the website is some form or way. The website that you do end up with needs to send the correct message and also make sure that it is clearly visible and obvious. The only way to achieve this is by setting your goals as early in the development process as possible. The target audience is a very important aspect and design element for both the designers as well as the client. 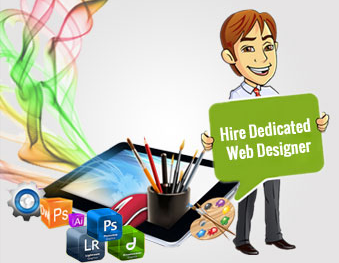 It is only after you have decided who your audience is that you can provide the relevant material to the web designer. At the same time, if the web designer is aware of your targeted audience then and then only can he optimise the design to cater to them. For example if the website is meant for children, the web designer needs to take care he does not use design elements or content that can have a bad influence on the children. Know your limitations ( as a client ). You need to start by deciding how much you want to spend and set a upper limit. Then make a list of requirements putting those that are important on the top of the list to get a rough idea of what is possible in your budget. Research is important and fits in for just about any project that you embark on. Checking out websites with tutorials on web designing and web development can help. You don’t want to become a web designer but getting to know the process will help towards the development of your website, as will browsing similar websites that already exist on the internet. The process of designing a website is not something that one can come up with overnight. In fact many companies still follow a very old fashioned method of development that has more relevance in the graphics design industry than the web development one. Knowledge of the correct methods and procedures is something that is achieved through experience and interaction with people from all around the world. Alakmalak has had the good opportunity of doing both. They have successfully developed over 2000 web sites for many different clients from all around the world. In addition to which they use their experience and wisdom to make sure the client benefits the most from the process.